Verizon’s Chief Marketing Officer Diego Scotti recently emailed Harris Diamond, chairman and CEO of McCann Worldgroup, to pick his brain about potential candidates for a leadership role he needed to fill. Diamond was in Japan on business. But it didn’t matter. “He responded right away, on a Saturday,” Scotti says. “On Monday, I had a list of candidates. He’s the CEO of an agency that has offices in [more than 100] countries, but he got it done.” For Scotti, it was an example of what he’s experienced with Verizon’s lead creative agency: Sometimes, bigger is better. Last year wasn’t particularly good for legacy agencies. WPP Group bemoaned the performance of its creative shops, and some other large holding-company shops saw small upstarts gnaw away at business. Interpublic Group of Cos.-owned McCann had its own share of heartbreak with its high-profile loss of the U.S. Army advertising account, which it ceded to Omnicom’s DDB. But as the industry questioned the viability of massive holding companies and suggested they’re outdated and too bloated to create great work, McCann’s overall 2018 performance belied the theory. 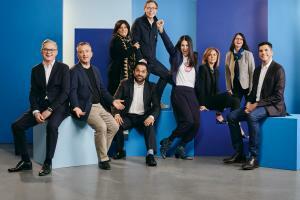 McCann posted revenue growth of nearly 5 percent in 2018 versus the year prior in the U.S. And although it had “Fearless Girl”-sized shoes to fill, Diamond says the agency’s model put it in a prime position to get business with Worldgroup partners like MRM/McCann for b-to-b work and Weber Shandwick for PR. McCann Worldgroup U.S. employs about 4,500 including MRM/McCann, Momentum, Craft and McCann Health; McCann has about 1,500 employees. The remaining third of its growth came from new clients. “The new-business opportunities were less,” Diamond says of last year. “[We won] a tremendous amount of clients. But they weren’t the $50 million to $100 million fee revenue clients that [we have] every other year.” The shop’s U.S. offices won Reckitt Benckiser’s Enfamil, Columbia Sportswear, Corning, Honeywell’s b-to-b account, Lane Bryant, TJX, LinkedIn, the San Francisco Giants and more. The creative that came out of McCann in 2018 was fresh and unexpected. The “Universal Love” campaign for MGM Resorts was an album of songs rerecorded to be inclusive of the LGBTQ community (think Bob Dylan singing “He’s Funny that Way”). For Microsoft and Xbox, the shop released a tearjerker holiday ad, which featured a real-life 9-year-old gamer—whose rare genetic disorder makes it tough for him to use a traditional video-game controller—winning a game using an Xbox Adaptive Controller. The agency guided Verizon to feature the calls that really matter in its “First Responders” campaign, which debuted during the Super Bowl. The client and agency team worked with an investigative team to figure out who first responders were to specific 911 calls and then connected them with the people they’d helped so they could say thank you. It’s an example of work that both rang true to both the brand’s business needs and what it’s trying to do from a branding point of view, Verizon’s Scotti says.